"We were SO excited to see that it is truly as lovely and magical in person as it appeared online!!" My fiance' and i looked around for a location near austin that was big enough for our large wedding. 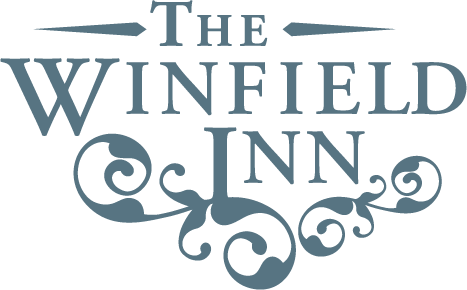 We compared the winfield to several other local places and eventually narrowed it down to the winfield and one other. we called both to understand the pricing, and the winfield was HALF THE COST of the other, just because everything's included in your quoted price -- no add-on fees for serving alcohol, having a dance floor, etc. we couldn't believe the difference!! and since i lived out of town at the time, i sent my fiance' over to check out the place in person. he LOVED it, and was so impressed with april and her team that he booked it on the spot. we were SO excited to see that it is truly as lovely and magical in person as it appeared online!! now, let me just say -- april and her team are amazing. morgan was our lead intern the night of our wedding, and in addition to having april and morgan on point the whole time, they also had 2 interns and another coordinator there to help manage everything during the wedding. we felt in SUCH good hands on the day -- they took wonderful care of us. my now-husband noted that every time he turned around, one of the winfield girls was nearby, making sure we knew next steps as needed, so that everything ran perfectly smoothly. but in addition to how fabulous they are managing the day of the wedding -- they ALSO are fantastic resources for EVERYTHING you'd EVER want to know about planning a wedding!! they can recommend a vendor for anything you'd ever want, and they have an answer or suggestion for any question you ask. . . and believe me, we had PLENTY of questions during the year leading up to our wedding! they were patient, responsive, and truly godsends.